Samsung Gear VR (2017) Review: How Good is it! The new Samsung Gear VR? 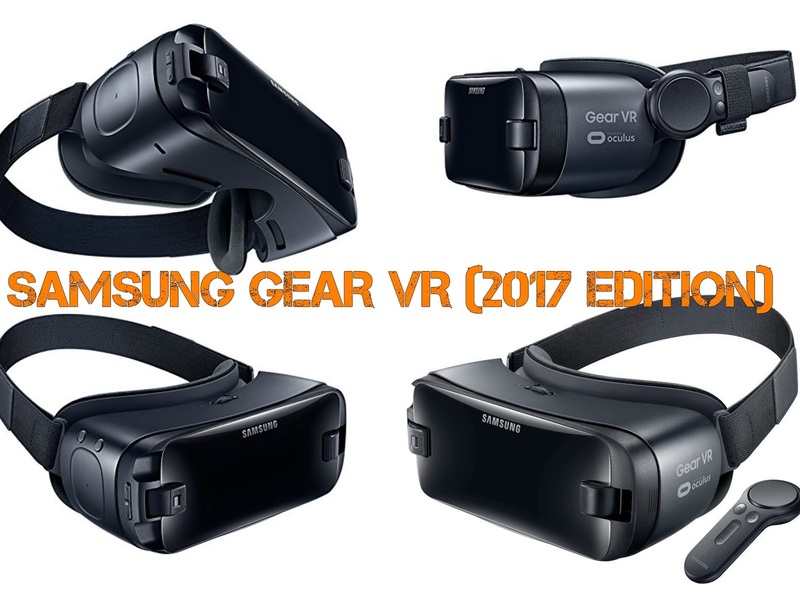 ﻿Since its inception the Samsung Gear VR has been a pretty interesting and amazing piece of kit and with its third iteration in 2017 featured along with the Samsung Galaxy S8, the deal just got better. What would it offer this time around? Lets take a look. The controller has great in-hand feel. Experience is smooth and highly detailed with sharp visuals as tested on the Galaxy S8. We can now directly interact in the VR with our hands due to the controller. The headset is itself more comfortable and lighter than ever. Previous gen Gear VR games and content also supported. Comes free with a new Samsung Galaxy S8 or S8 Plus phone. The headset has no front cover and so it looks unfinished even when the phone is strapped to it. The controller batteries are non rechargeable so it may become dud if it is stored unused for a long time. Apps and games are limited to the Oculus store. Full game content is expensive. A new wireless motion controller. 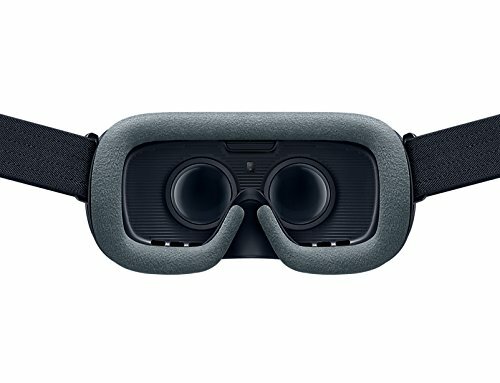 The new Gear VR software update adds higher resolution and a new built-in web browser. The Samsung Gear VR has dominated the mobile virtual reality market since its inception and its third-generation Gear VR still continues to do so, proving itself to be far better than the Google Daydream View, which first introduced a wireless remote bundled with it. While Samsung will definitely add some more interactions for users new to the mobile VR space, can those be enough to take the mobile VR to a next level? Well, the article is just for answering such questions! Related: Best AR Apps that you can try on your smartphone now! Well, the Gear VR’s design has remained pretty much unchanged since its debut (first version). The plastic design prevails, with the only visible change is Samsung switching to darker colours in its second launch with the Galaxy Note 7. Colours available are Midnight Blue and Orchid Grey. The plastic has a nice pearlescence that brings out the device's slight purplish blue when subjected to light. Samsung has also done away with the translucent covering that went over the headset, shielding external light inside the headset which also doubled as a protective cover for the handset. So now when the handset is attached to the headset, the headset looks pretty unfinished and you get a lingering fear of the handset falling out of your hands. The complaints regarding the ergonomics stop here however as the headset is pretty comfortable and the foam padding is replaceable should you need a new one. It fits comfortably even if you wear glasses (I do✌). There are Velcro straps around and has a second strap which goes over the head so that the headset does not fall too low. 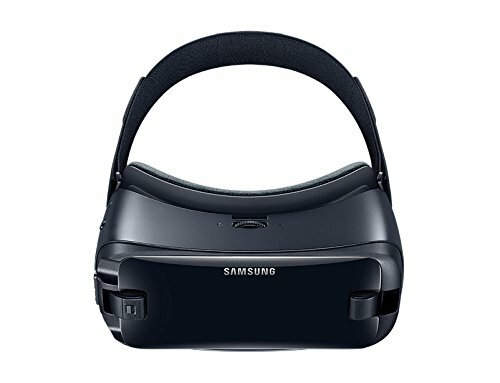 The light leak from the bridge of the nose like the Daydream View is absent in the Gear VR too! A turning wheel at the top of the headset allows us to set the distance between the phone and the display lenses. The touchpad, volume, home and back buttons are found on the right side. It also has a button input, a "rocker" type of key which according to Samsung lets you "point, drag and drop, tilt, shoot, and a lot more" while the "Trigger" lets you enhance your gaming experience. There's a USB C-type port on the underside which helps charging the phone while the headset is being used. This time around, the center of attraction lies in the wireless controller bundled with the headset. It can be also bought separately and used with previous versions of Samsung Gear. When compared to the Google Daydream View's controller, the design here was better. The controller on the Samsung has an actual trigger button at the end which is great while playing shooting games. The touchpad at the front also acts as a button when pressed. The only downside faced by the controller is that it implements two AAA batteries instead of a rechargeable one like the controller of the Google Daydream View. Another problem is the storage of the controller, where it is strapped outside unlike that of the Daydream View's controller which is stored in a slot inside the headset. In this case, the phone used was a Galaxy S8 (check the Samsung Galaxy S8 in-depth Analysis and Review😏) where the display lenses allow for 101-degree viewing, which was a lot of space. The VR experience is smooth, and even though the resolution gets divided between the two 42mm lenses, the Samsung Galaxy S8's superior display offers pretty much unmatched mobile VR experience. However, due to removal of the translucent cover, there is a little light getting sucked in from the top, but it was negligible anyway. Regardless, while using the headset one should ensure the S8's display resolution is set to WQHD, (2960×1440 )pixels to get the best performance . At full resolution, the S8's Super AMOLED display offers crisp and detailed visuals. The advanced distortion correction in the Gear VR 2, prevents you from getting motion sick. Anyways, the change in the overall VR experience is not so dramatic compared to previous generations and don't expect spatial tracking of stuff such as leaning, standing up, etc as those are still reserved for the PC-based headsets. The addition of the 4.25 inch long, 2.27 ounce Bluetooth controller is just like the icing on the cake. Selecting stuff was a pain before, with either you looking at something for quite an amount of time or tapping the control pad on the side of the headset. Using a controller is a boon in these cases. It is very comfortable to hold in any hand and comes with a touch pad, a large button, a trigger, home, back and volume buttons. The addition of a trigger on the controller makes it sweeter to operate for some special functions such as firing a weapon in first person games make it that much more realistic, and honestly hand interactions are crucial rather than relying solely on head movements. Moreover, the controller cannot be tracked individually in right handed use the controller stays isolated in the bottom right corner of the display and vice-versa. Also, it can detect tilt, but not free movement in space. The controller is powered by two AAA batteries which according to Samsung would last around 40 days of use. 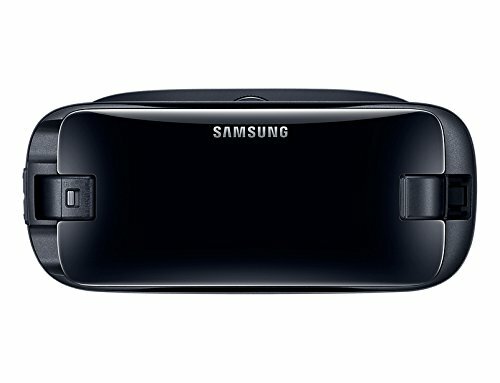 The Samsung Gear VR has a handful of apps, 70 to be exact that support the new controller. But having the backing of Oculus, supported content are expected to rise every week, thus increasing the functionality of the controller. The Oculus app is now a lot smoother too. The Virtual lobby is set in a lavish home, complete with hardwood floors and peekaboo panel. Floating tiles are still there with them being larger and having more eye-catching images. In the browser, the app includes icons for important sites such as Facebook, YouTube, Google, Instagram, Amazon. You can also type web addresses by summoning a floating keyboard, but it might get a bit tedious, so as to speak. But at least for now, some of the apps I used performed poorly, or didn't run at all and some other apps' performance was not up to the level of my expectations. Even the Oculus app crashed a few times. Games such as A Night Sky, Bandit Six :Salvo, Oogie, Temple Run VR, Wheelrush and Zombie Strike, worked great. While playing Wands, the gamepad showed its usefulness again. With the controller, I felt like I really was holding a magic wand in my hand, throwing fireballs at my opponent. The Samsung VR video app did not stutter in any of the videos, I played. However apps which did not run at all were Rose (a VR film) and vTime (a social networking app). Also, in a platform where 360-degree videos would be a regular affair, there was no YouTube app; it had to be accessed from the browser instead. The Amazon Prime Video app is also missing. But it is to be noted that after watching videos, playing games, and doing all sorts of stuff such as updating my Facebook page, the Samsung Galaxy S8's temperature remained relatively cool. The back getting slightly warm, but nothing uncomfortable at all. The battery life of the S8 was also good, with 2 hours of usage leaving the battery to 73%. Actually it is more the handiwork of Samsung’s superb 9 mm processor inside! Watching videos on The Oculus Rift and HTC Vive were the same experience as the Gear VR. Games and other experiences were of a much higher quality on the Rift and HTC Vive and both of them offered a greater 110-degree field of view, allowing a more immersive experience, with a more precise gaze with sharper detail, but we should keep in mind that the performance comparison is between a Galaxy S8 and a full-spec gaming PC. Considering that the Gear VR is pretty awesome! I just hope, Samsung does not delay in throwing out patches so that the crashes stop. They can be really irritating sometimes! The Samsung Gear VR 2017 costs $130 which is more expensive compared to the price tag of $79 for the Google Daydream View. The cost includes the new controller and batteries. The controller separately costs $40 and can be bought to use with a previous version of Gear VR, which is great considering people would not be forced to buy the new Gear VR to experience the controller. However, the latest version of Samsung Gear VR offers users the richest mobile VR experience yet again this year with its amazing new controller. The Gear VR continues to be a great platform for those who don't want to invest in more expensive VR solution but want a more immersive experience than Google Cardboard platform. If you got any more info or just wanna share your thoughts, well..... just drop it in the comments! Samsung Galaxy Note 8: Can it get even Better? Samsung DeX Review: Let your Phone run your PC!